The Animated City Silhouette PowerPoint Template is one such template which comes with a clean, Modern design with a range of diverse slide layouts. 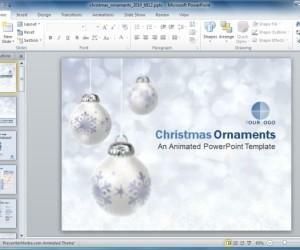 The initial few slides in this template give a series layout which loads in animated form. 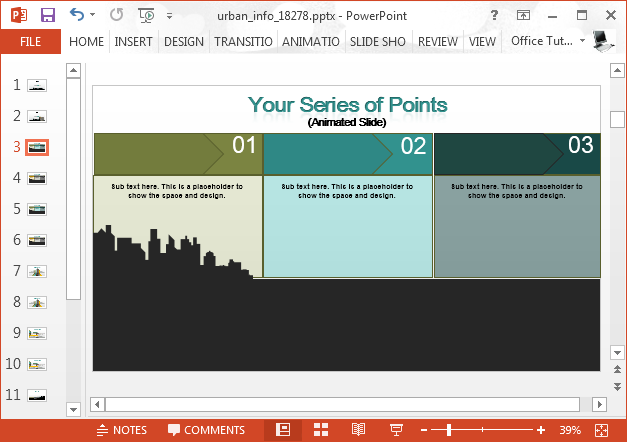 You can use these series slides for creating lists or representing timelines. 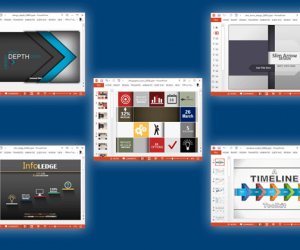 Like other slides in this template, these series slides can be edited down to their colors and basic objects. You can add or remove slide objects and recolor slide elements to match your company logo or desired specifications. The template provides different horizontal and vertical bar chart illustrations for you to interpret data. 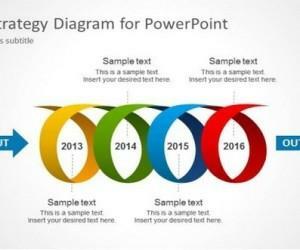 While these are not PowerPoint Charts, however, you can drag to adjust the bars and add text to describe trends in the form of chart illustrations. 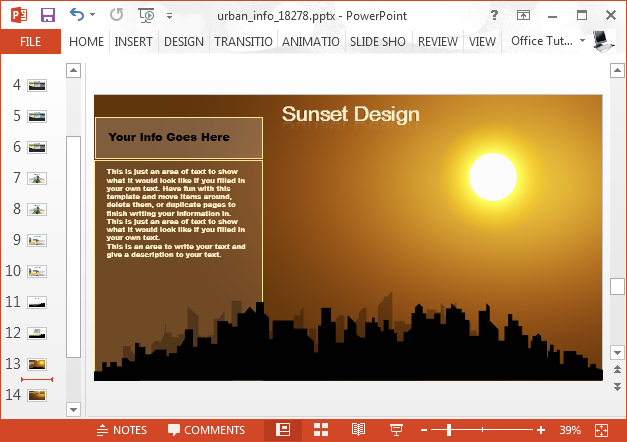 Of course, you can always add a new slide and also insert PowerPoint charts according to need. 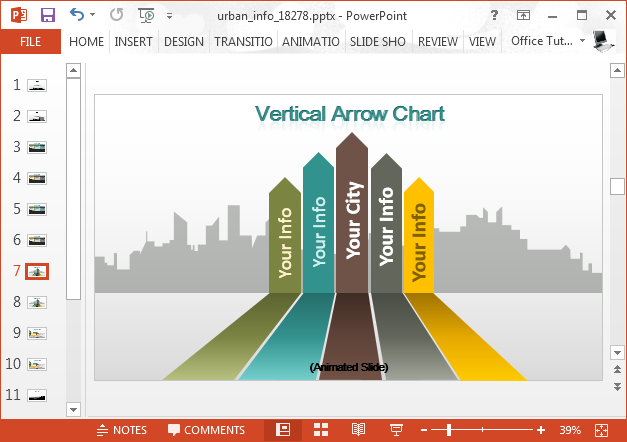 Needless to say, you can also recolor the bar charts using PowerPoint Drawing Tools. 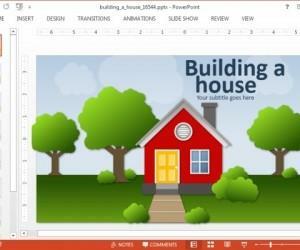 Unlike conventional templates this PowerPoint presentation template has multiple backgrounds with beautiful illustrations. 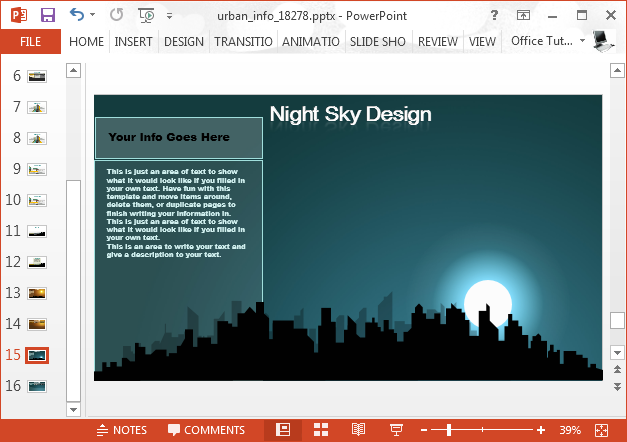 The day and night backgrounds in particular are quite attractive and can help you add a touch of elegance to your slides. 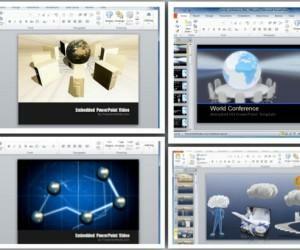 In fact, you can even use these backgrounds for making entire presentations by duplicating these slides. Both the night and day slide backgrounds have two slides each. 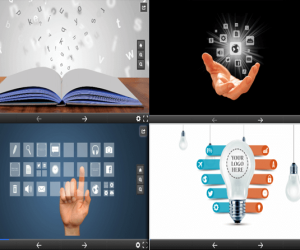 This includes a content slide and a series slide. 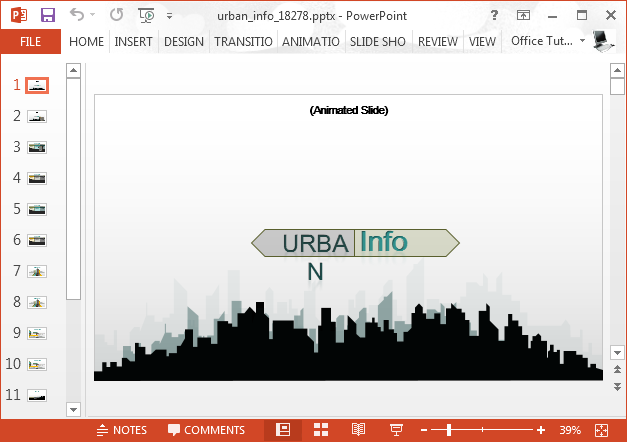 This animated city themed slide deck can be downloaded for all recent versions of PowerPoint and Keynote.